Antioxidants have become rather popular lately, and I thought I list the most potent antioxidant spices available today. As I have written in an article about antioxidants, antioxidants inhibit the action of free radicals (highly reactive molecules that can have damaging effects on cells and tissues). How strongly and how quickly a particular antioxidant can “neutralize” an oxidizing agent, is expressed as what’s called the ORAC value (Oxygen Radical Absorbance Capacity). The ORAC scale was developed by the National Institute on Aging in Baltimore, Maryland. Here, I list the Top 10 antioxidant spices. The ORAC values are displayed right after the name of the spice. ORAC values are often displayed as micromoles of Trolox equivalents (TE is a vitamin E derivative) per serving or per 100 gram. For clarity, I have broken it down to micromoles of TE per gram of spice (1 unit= 1 micromole TE/gram). 1 Gram equals 0.035 ounces or about 1/5 teaspoon. Do not confuse a higher ORAC value with “healthier”. Different antioxidants have different properties, such as ability to penetrate a cell or how it is metabolized by the liver. Always eat a diet which consists of a variety of fresh foods. Happy cooking..
Cloves are dried flower buds from the Syzygium aromaticum tree, which is native to Indonesia. Cloves are used as spice all over the world, but particularly in Indian cooking, where it is used in a number of curries and rice dishes. Cinnamon is a spice derived from the bark of a small evergreen tree native to Sri Lanka. The cinnamon that we buy in grocery stores may contain bark from a related species called Cassia (Cinamomum aromaticum). True cinnamon crumbles more than other cinnamon. Cassia containing cinnamon contains coumarin, a blood thinner, so it is advised not consume too much of the cinnamon found in (most) stores. A popular herb used in Italian and Greek cooking, it is a high in antioxidant activity and has been used to stave off colds and influenza. Oregano has both antimicrobial and anti-inflammatory properties. Turmeric (Curcuma longa) is a plant from the ginger family and is native to South East Asia. The spice turmeric comes from root-like structures called rhizomes, which are ground to make the spice. Turmeric contains curcumin, which is thought to act as a strong pain reliever (by inhibiting the cox-2 enzyme). 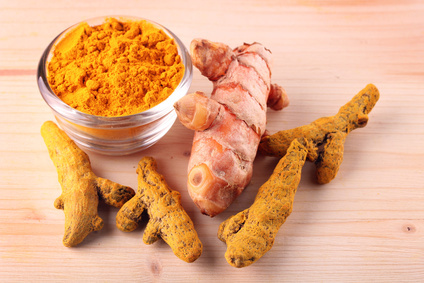 Curcumin may be useful for the treatment of arthritis as well for Alzheimer disease, where it is believed to inhibit the formation of amyloid plaques. Originally from Iran, this spice is used worldwide. This spice is not recommended in concentrated form (as supplements for example), as it can induce labor in pregnant women, induce kidney stone formation and increase photo-sensitivity of the skin. In addition to strong antioxidant effects, basil also has anti-cancer, anti-viral and anti-microbial abilities. Basil is used in Mediterranian dishes as well as some Asian dishes (Thai). Basil (as does oregano) contains high amounts of a compound that selectively binds the cannaboid receptor CB2, blocking inflammation pathways without mood altering effects. Basil (and oregano) could be useful for the treatment of inflammatory bowel disease and arthritis. Cumin seeds are the spice of the cumin plant and are used in many dishes, in particular curry dishes. Cumin seeds are high in essential oils and the main cumin compound that gives cumin its distinctive taste, is cuminaldehyde. Used in many meat dishes from Europe, sage is a strong antioxidant. Not recommended for use as a supplement as it may be toxic in high doses. There are many different varieties of mustard seed (from black to yellow to white). The more pungent varieties contain sinigrin, a compound that when degraded is responsible for the strong taste of mustard or horseradish. It has been suggested that sinigrin has anti-cancer properties and that consuming sinigrin containing foods may protect against colon cancer. For culinary use, marjoram is often used for its aromatic leaves. 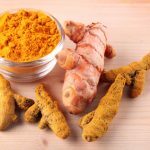 Tumeric is a powerful antioxidant, and is one of the ingredients in Protandim, however all the ingredients combined are very powerful, much more than any direct antioxidant, because they turn up the antioxidant enzymes in the body. You have provided an excellent source of information in this article. I have found a lot of information on line about antioxidant foods but very little on spices. Thank you for sharing. Thank you so much for this website, it helped me a lot. Gave me ideas for my science fair topic. This article, under Parsley, mentions ‘induce kidney stone formation’. A Google on that info shows the opposite, that Parsley is used to get rid of and treat kidney stones. spices food additive in cheese for inhibition biogenic amine. I wrote this post about antioxidant spices since so many people seem to be interested in antioxidants in general and because of the potential benefit antioxidants have on our skin. If I think a particular food item is not suitable for rosacea, I will specifically mention it. I draw on my own experience of having rosacea for many years and the scientific literature. When making this list, I looked at potential negative effects that these spices could have on rosacea (I omitted several peppers for example). I could not find anything that mentioned specifically that cinnamon or cloves are high in histamine. I just looked at pubmed again and found a study that suggests that cinnamon and clove have inhibitory effects on the formation of histamine. Spices may contain histamine, but if you don’t consume too much of it, I don’t think it will have a big effect on rosacea. Shakila, R.J., Vasundhara, T.S. and Rao, D.V. (1996) Inhibitory effect of spices on in vitro histamine production and histidine decarboxylase activity of Morganella morganii and on the biogenic amine formation in mackerel stored at 30 degrees C. Z Lebensm Unters Forsch 203:71-6. Hi Reverta, I am enjoying your rosacea site. I really like the way that it is set up. But, I am concerned with some of the information I have read here versus other sites. I would like to believe your advice because it leaves me with more valuable food options. But once again i have read that cinnamon and cloves are suppose to be avoided by rosacea sufferers beacuse of histamine factors. You may have better resources at your hands. Can you share with me? Why do other sites not recommend these? thanks!